Guduchi is well-known herb which has been used extensively in Ayurveda since ages. It is known to be effective in lowering blood sugar level, cures joint pain, heals wounds, improves metabolism, reduces stress, boosts immunity. Guduchi forms the part of the daily tonics and traditional rejuvenator ayurvedic plant category. It is a mental rejuvenative or a medhyarasayana as per Charaka Samhita. It supports the functioning of the immune system by maintaining sufficient levels of WBC or white blood cells such as macrophages. It is used in various types of fever. Its stem has alkaloidal constituents, and it also includes bitter principals and berberine. The drug possesses 1/5 of the analgesic sodium salicaylate effect, that is used commonly as antipyretic and an analgesic medicine in allopathic. Guduchi is great in treating problems related to skin. For treating skin related diseases both external application and internal consumption is done. Guduchi has proved to reduce blood sugar level in a very significant way. But since diabetic patients are already on medications, so it’s usage can even reduce the blood sugar level more. Therefore, it is recommended that you use Guduchi only under the supervision of a physician. Also, if you are suffering from neuropathy, you can massage your legs and hand using Guduchi oil, as this oil will give you great relief. Guduchi tea is very soothing and does not taste bitter. For the tea, take fresh Guduchi stem, and then remove the leaves. For one cup of tea about 5-6 bruised stem of 1.5 inches will be sufficient. Then take five peppercorns, half a tablespoon of cumin seeds and two tablespoons of palm candy and using mortar and pestle crush these ingredients coarsely. To the ground mixtures, add cut Guduchi stem and crush again. Boil a cup of water add the mixture to the boiling water. Then strain the mixture and drink. This tea helps in treating stomach disorders, reducing stress, improving memory and is good for curing fever. 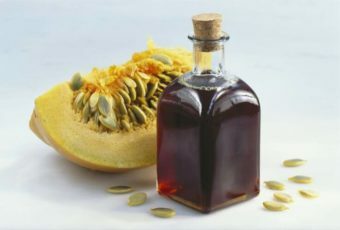 It is also said to be very effective anti-cancer medicine. Guduchi helps in increasing the effectiveness of white blood cells, and it helps in building up body’s defense mechanism. It inhibits the growth of bacteria and also enhances the function of protective cells and macrophages. To patients undergoing chemotherapy, it is recommended as an adjuvant. The herb is very useful in managing skin, respiratory and soft tissues infection. It is an adamant immune stimulant and has very well anti-cytotoxic effect. Anti-cytotoxic is used in the treatment of cancer. It helps in reducing the effects of toxic cancer-fighting drugs and since it has immune promoting qualities so this can be helpful in preventing cancer. It is also useful in decreasing rheumatic complications. Guduchi helps in managing urinary disorders. Guduchi is useful as a diuretic, contributes to removing urinary stones and assists in the management of urinary disorders including urinary tract infections. This herb is useful in the treatment of common gout, arthritis and other inflammatory joint conditions as it contains anti-inflammatory properties. 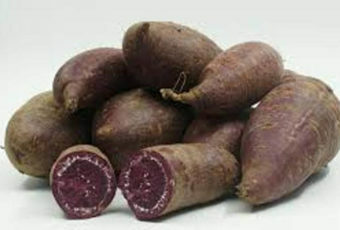 Guduchi has been regarded as the protector of the liver. This herb is very helpful in the treatment of liver damage, viral hepatitis and also alcohol, medical or chemical poisoning. It is also useful in managing fibrosis and regenerating liver tissue. It has febrifuge action. It is valuable in curing acute as well as chronic fevers or pyrexia that is of unknown origin conditions. The herb works great in preventing and curing diseases such as voice hoarseness, pharyngitis, cough cold and tonsillitis. Guduchi helps in maintaining normal body temperature. Guduchi is useful in problems related to joint such as pain in joints and swelling in joints. Guduchi Powder helps in boosting the immunity of the lungs and also helps in extracting extra mucus from the chest. Few breast cancer patients were selected on whom adjuvant therapy was conducted. So as per the research and results observed herein, it proved that the drug Tinospora cordifolia provided some protection against the cancer chemotherapy-induced leukopenia. Each and every part of Guduchi plant is used for many kinds of medicinal purposes. The oil of the plant is effective in decreasing the pain and edema and is also useful in gout and skin diseases. The herb enhances memory, accords longevity, improves health, and bestows youth, betters complexion, voice, energy and luster of the skin. Digestive ailments can be treated with the help of Guduchi like hyperacidity, colitis, worm infestations, and loss of appetite, abdominal pain, excessive thirst, and vomiting and even liver disorders like hepatitis. When Guduchi fresh juice and rock candy are mixed, the mixture speeds up the recovery in hepatitis patients. It is helpful in treating ailments such as rakia pitta, anemia, cardiac debility, diabetes, sexual weakness and splenic disorders. The starch of the plant serves as a home remedy for chronic fever, relieves burning sensation and increases the energy and appetite. The decoction of Guduchi, when mixed with nimba and vasa, helps to ease the itching and oozing. It is beneficial for general weakness, dyspepsia, impotence, dysentery, secondary syphilis, tuberculosis, jaundice, constipation, leprosy, general debility, cutaneous rashes, and condylomata. Guduchi reduces the blood urea level and helps in getting rid of renal calculi. The decoction of Guduchi and sushi is regarded as a right combination in the treatment of gout and rheumatic disorders. 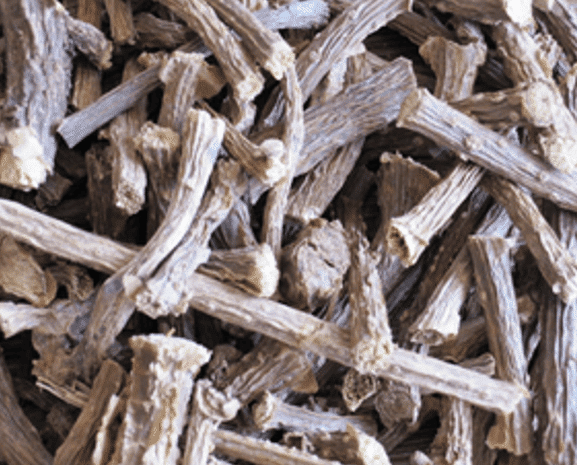 Guduchi’s root is a strong emetic and used for obstruction of the bowel. It helps in Preventing colds and flu. It assists in decreasing the side effects of chemotherapy drugs. It enhances Immune system by expelling toxins from the body and rejuvenating the body. It is Anti-arthritic and also anti-inflammatory. Taking in of Guduchi Powder regularly helps in detoxifying the male reproductive system and also helps to increase the sperm count. 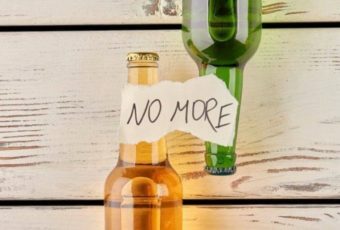 People who drink alcohol and eat a lot of junk food feel better with the regular usage of this herbal powder. It very helpful in maintaining the healthy metabolism. 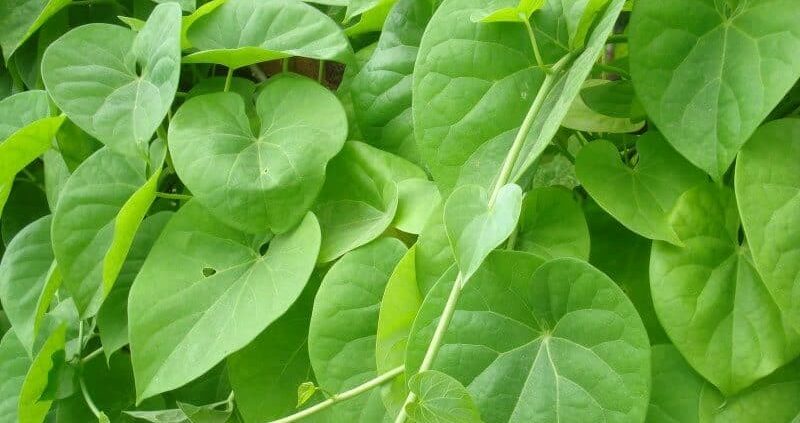 There is not much information known about the usage of Tinospora cordifolia at the time of pregnancy and breastfeeding. It is better to stay on the safer side and avoid its usage. Tinospora cordifolia can lower blood sugar levels. So if you have diabetes be cautious while using this, and keep checking your blood sugar levels. There might need to adjust the dose of diabetes medications. If you have one of these circumstances, it is better to prevent the usage of Tinospora cordifolia. So stop taking Tinospora cordifolia for at least two weeks before a scheduled surgery. Guduchi can be slightly constipating if it is taken for long periods by those who are prone to sluggish bowels. Guduchi consists of Tinospora cordifolia mature stem. Root, stem, and leaves have medicinal values. The Stem has collateral vascular bundles that are surrounded by pericycle fibers. The cork rises in the sub-epidermal layer and rises to 2-3 cork layers.The presence of starch can be seen throughout the parenchyma of the stem. Primary structure of tetra- to penta-arch characterizes the aerial root. There are two divisions of the cortex which are the outer thick walled zone, and this represent velamen, and the other one is the inner parenchymatous zone which contains secretary canal. Starch is present throughout the parenchyma of the aerial root. The grains of the starch are oval in shape. The petiole which is in transverse section is circular in outline. Trichomes were not found. The Single layered epidermis is shown by the cross section and also wide zone cortex that is composed of 3-4 endodermis layers. On the inner side, vascular bundles consist of xylem and on the outer side cambium cells which are followed by phloem. Outline of the mid-rib is circular, and Palisade does not extend over the stellar tissue. The dorsiventral structure is shown by the cross-section of the lamina with its mesophyll that is differentiated as palisade and spongy tissue. The mesophyll is differentiated clearly into a palisade layer which is made up of one row of thin-walled columnar cells. It occupies a little more than half of the width of the mesophyll. Lower surface consists of glandular hairs only. They are unicellular and club-shaped. The base is surrounded by 4 – 5 epidermal cells. The presence of starch can be seen throughout the tissue. Himalaya Guduchi is from himayala herbal brand which has been endorsed by doctors worldwide and is used by many customers. The products of Himalaya Herbal have been clinically researched and standardized to guarantee bioequivalence. Bioequivalence means ensuring that any product on the market is equal to the one on which the conducted clinical trials were successful. One of the most sophisticated techniques of standardization in ensuring consistent quality and performance is chromatographic fingerprinting which is used by Himalaya herbal healthcare. Its use helps cure arthritis. It is very beneficial for those who have undergone chemotherapy and worked as an adjuvant. It works against recurrent infections, such as an immunomodulator. It works as a hepatoprotective against hepatitis. One capsule, two times a day daily after meals. For long lasting benefits, allow several weeks of usage. Since natural products not just treat the symptoms but treats the body as a whole and also takes time for absorption and to get the results. Since Himalaya’s Pure Herbs are in the form of a capsule, so some children who are below 14 years might find difficult to swallow the capsule. So due to this reason, Pure Herbs are mostly recommended for children who age 14 and above. Herbs many and so are their benefits.One such herb was discussed in this article. Many health benefits and even the innumerable uses of this herb is mentioned above.Hope you will surely use this herb in your day to day life. If you have any queries or suggestions, then do comment below.